WordPress web design for real estate makes a lot of sense. Real estate agents and agencies need the ability to update the site regularly, and they need to have a site that is seen by Google. Add to that the need to have a really good-looking site, and you have the perfect client for our favorite CMS. Lots of custom widget areas. A nifty Flash-based map of their coverage. 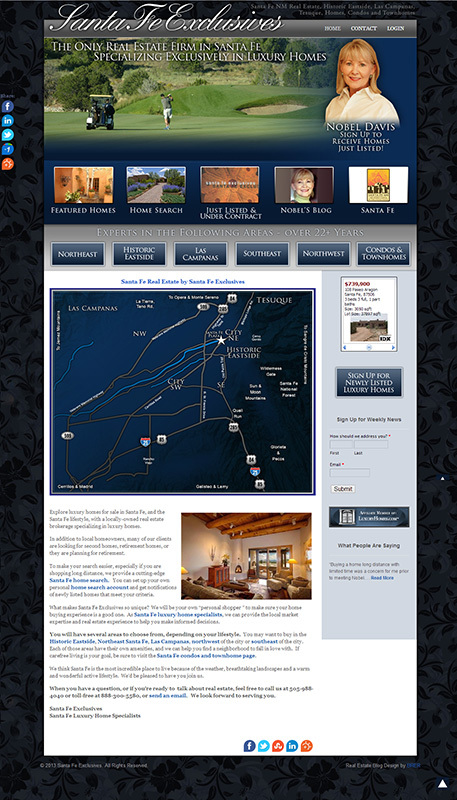 So – if you’re in Santa Fe and need a home – visit Nobel’s site. If you’re in need of a website and you’re anywhere in the world, contact us. We’re here. We’re ready. Let’s go. New Launch for New Life… Coffee in the Aeropress? I’m in love.